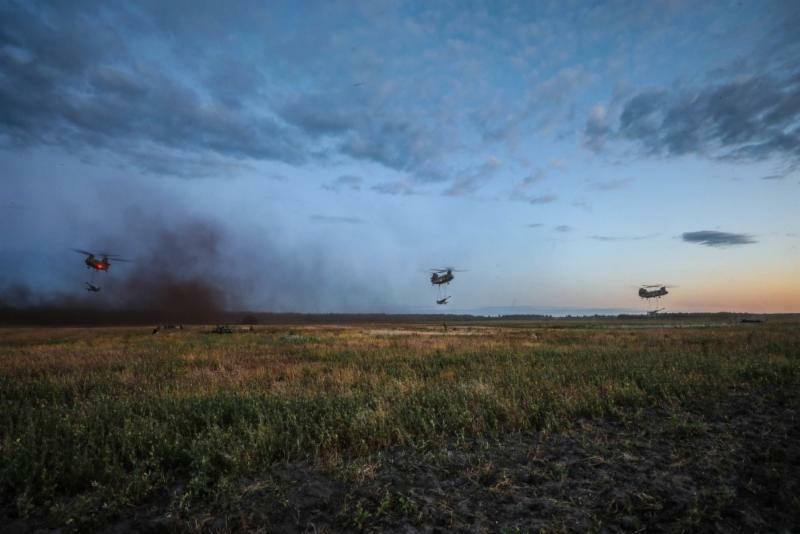 Bulldog and Cobra Battery, Field Artillery Squadron, 2d Cavalry Regiment, recently conducted an air assault with twelve howitzers as part of Saber Strike 18 in Kaunas, Lithuania, June 12, 2018. The air insertion of the twelve 155mm artillery cannons was facilitated by Sgt. First Class Micah W. Lewis, master gunner, FA Squadron, 2CR. This operation, performed skillfully by the Soldiers of Bulldog and Cobra Batteries, was executed with the air support of the 12th Combat Aviation Brigade, stationed out of Katterbach Kaserne, Germany. The first set of six howitzers belonging to Cobra Battery were air inserted to provide indirect fire support for a contested wet-gap crossing by squadrons from the 2d Cavalry Regiment. Bulldog Battery joined Cobra to provide additional combat power and continuous indirect fire support for follow-on operations. After the successful completion of all operations, Bulldog Battery and their six howitzers were air lifted out. The successful air insertions were critical to the overall 2CR operation, as they allowed for indirect fire support during an extremely time-sensitive mission. “Our ability to rapidly move these howitzers and make their impact felt on the battlefield is just more proof of the excellent training we are constantly conducting and the absolute proficiency and professionalism of the men and women of the Field Artillery Squadron," said Lewis. Training like this provides a unique opportunity for the Soldiers of 2CR. There was much excitement and enthusiasm among those who participated in the exercise. "We can't wait to get out here and do this again," said Lewis. After the completion of Saber Strike 18, FA, 2CR transitioned into training at the Grafenwoehr Training Area, Germany, in order to complete its live firing table requirements. The 2019 Reunion will be at the Harrah’s North Kansas City Casino and Hotel on April 25 – April 28th. In addition to the normal opening reception, punch ceremony and banquet, there will be optional trips to the Truman Presidential Library, the WWI Museum (located in Kansas City) and to Fort Scott. Please mark your calendars and save the date. We are hoping for a strong turnout of cavalrymen and ladies. We expect to open registration in Sept, 2018. Future reunions – the 2021 reunion will be at Ft. Benning where we hope to dedicate an lasting and encompassing memorial to the history of the Regiment and to those who served and died as Cavalry Troopers. 2023 is tentatively set to be in Montana to trace the 2d Cavalry in the Second Indian Wars. Greetings Dragoons!! And Happy Independence Day!! I hope all are enjoying summer and can take time this week to consider just what Independence Day represents. To me it is Important to note that each of you that served, and those that continue to serve, have voluntarily given up some portion of your own independence to ensure our country remains free. Thank You!! Independence Day also means that summer is full under way and the heat wave is on….. sounds like the perfect time to head to Germany!! The Regiment is pulling in the scouts and gathering in Vilseck for Week of the Dragoon. I am looking forward to spending the week in our old stomping grounds with the stalwart troopers that are making the journey over. It is always great to be with the Soldiers and there is no better place to do that then the home of the Regiment. The initial reports are the new Global War on Terrorism Memorial is exceptionally well done and a memorial we can be proud of for many years to come. I can’t stress enough now much I am looking forward to sharing a beer, or three, with the outgoing Regimental leadership. Truly this has been a first-class team that has done much for the prestige of the Regiment, well balanced with taking care of the troopers. Very well done!! I look forwarding to welcoming the new team and building a relationship that will take us down the road to the next engagement. One thing is for certain, the mission our Soldiers are tasked with isn’t slowing down, and after a week of comradery and fellowship, expect the Dragoons to be back on the road supporting our countries objectives throughout Europe. Our Regiment is making it happen!! For those making the trip, I will see you on the ground in Vilseck in just a few weeks. For everyone else……. Reunion, Kansas City, 2019!!! CLINTON- Glenn R. “Rick” Gill Jr. 58, of Clinton passed away on Wednesday, April 18, 2018 in his home. Glenn was born on November 18, 1959 in Queens, NY; the son of Glenn and Shirley (Gillum) Gill Sr. He married Cassie Jean in Elizabethtown, KY; she preceded him in death in 2013. Glenn is survived by his mother, Shirley Gill; his brother, Brian (Bobbie) Gill; his sister, Pamela (Eddie) Johnson; his step-children, Michael Deckard and Michelle Best. Additionally, he is survived by his step-grandchildren, Lachelle Best, Chantasia Best, Briaunna Deckard, Dustin Taulbe, Makayla Deckard, Matthew Deckard, Austin Deckard; and one step-great-grandchild, Colton. Glenn was preceded in death by his father; his wife, Cassie; his daughter, Melinda Ann Gill; his step-son, Matthew Deckard; one brother; two sisters; his grandparents; several aunts and uncles. 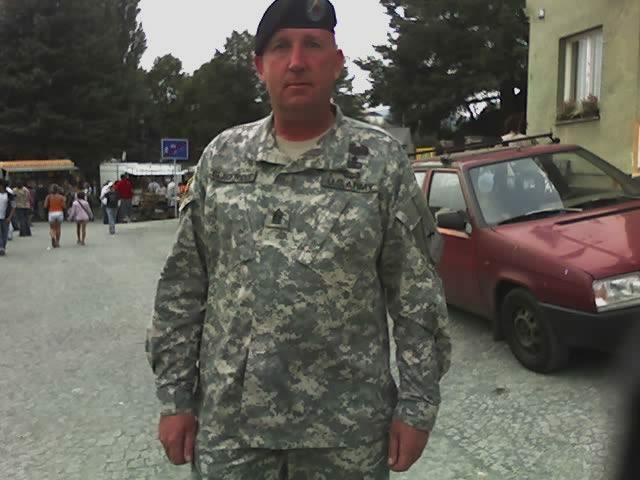 Glenn Proudly served his country in The U.S. Army. He worked in Environmental Services at Memorial Medical Center in Springfield. Glenn was a member of USABOT (U.S. Army Brotherhood of Tankers); he was also a member of USCRA (United States Calvary Riders Association). A Celebration of Glenn’s life was held on Wednesday, April 25, 2018 at Fricke-Calvert-Schrader Funeral Home in Lincoln. 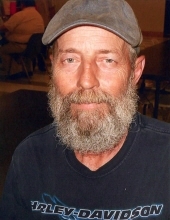 Memorial donations may be made in Glenn’s name to Memorial Hospice or The American Cancer Society. 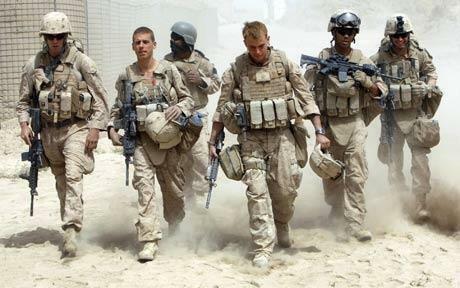 I believe that when we took our oath of enlistment or of commissioning we embarked upon a life of service. In the year and a half that I have working with the Second Cavalry Association board, I have been impressed by the dedication of the men who contribute so freely of their time for the benefit of our Regiment and our Association. I joined the Association to reconnect with old friends and meet new ones with similar backgrounds. What I’ve discovered, is an organization that supports our customs and traditions, that allows us to reconnect, enjoy each other’s company, and to continue to serve our Regiment. Probably not fully on your radar screen yet, is the memorial which we intend to erect at the Maneuver Center of Excellence at Fort Benning in 2021. This memorial will recognize 2d Calvary troopers who gave that last full measure of devotion by sacrificing their lives in the service of our Regiment. We will recognize troopers from 1836 to the present including our long deployment along the Iron Curtain. Please support our funding Troops and the Memorial. Brett was born near Dead River, Maine on February 22, 1856. On July 1, 1875 he accepted an appointment to the United States Military Academy at West Point and graduated with a commission on June 13, 1879 as a Second Lieutenant, in the 2nd United States Cavalry. While a member of the 2d U.S. Cavalry during the American Indian Wars, he participated in the pursuit of a group of Sioux Indians who had stolen a herd of ponies. 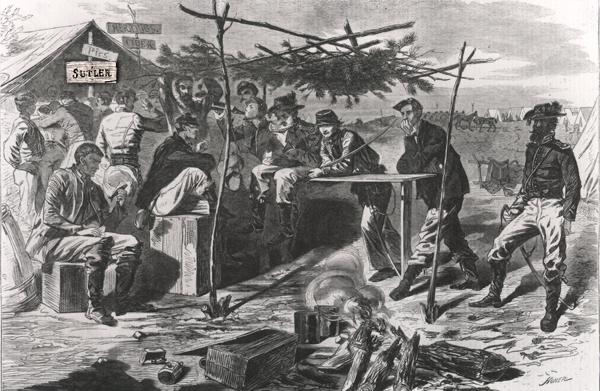 On April 1, 1880 the group was located by scouts making camp with the herd at the head of O'Fallon Creek. 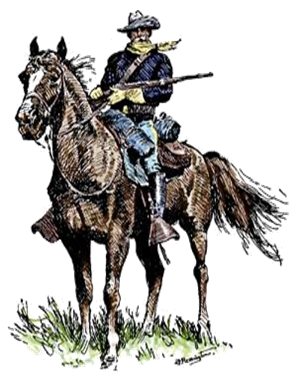 In what would later be known as the Battle of O'Fallons Creek he was ordered to take ten soldiers and attempt to capture the complete herd. The soldiers were able to retrieve the herd and cut the Indians off from their horses as well. For his actions during the battle, Brett received the Medal of Honor, which was presented to him February 7, 1895. He was honorably mustered out of the Volunteers on June 18, 1901 at the rank of lieutenant colonel. In 1903, he was assigned to be the adjutant general of the D.C. Militia and kept that post until 1908. 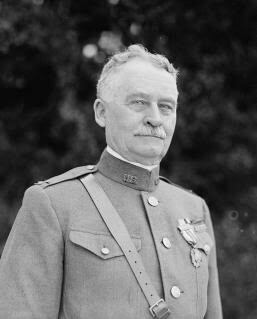 He was promoted to brigadier general on August 5, 1917 and served overseas with the 80th Infantry Division from May 1918–June 1919 in World War I. While serving in World War I he received the Army Distinguished Service medal for commanding the 80th Infantry Division and their actions near Imecourt and Buzancy . 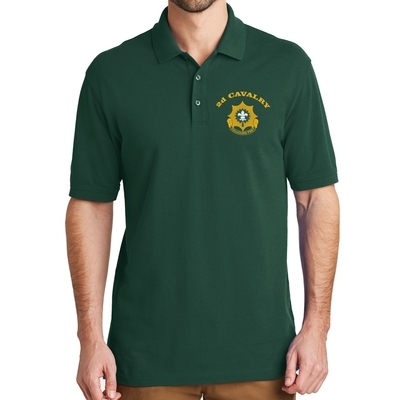 This EZ cotton polo is made of soft, smooth, durable 100% cotton pique, our new EZ Cotton Polo boasts an updated fit and a collar that resists curling. It also resists shrinking, wrinkling, pilling and fading with ease. 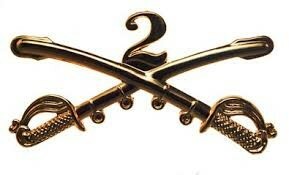 The 2d Cavalry Unit Crest is beautifully embroidered on the left chest. 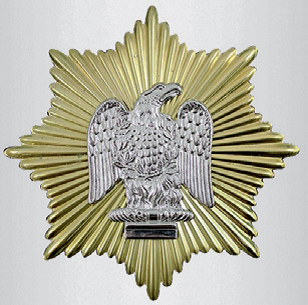 From 2002-2004, Command Sgt. Maj. (Ret.) Roger P. Blackwood served as the senior enlisted advisor to 2CR - now, Blackwood serves as the Honorary CSM of the Regiment. Blackwood joined our Dragoons during SaberStrike18 for a first hand look into the trained and ready forces the Squadrons bring to the battlefield. The Second Calvary Association is offering an updated scholarship program for the incoming class of 2018. This program will offer scholarships and grants to qualified and selected applicants. The Association will begin the program with academic scholarship(s) for undergraduate study at universities and colleges, to include two-year community colleges. A new and additional category of grant financial support will be offered to selected applicants pursuing training for professional or skilled trades. This can be defined as trades/professions offering training in structured, formal programs which result in certificates of skills training completion. Examples of such areas of study would be, but are not limited to: non-BS nursing degrees; computer technicians, programmers, and coders; medical technical study, such as imaging professionals (X-ray, MRI, and CT scanning); Physician assistant; medical coding; and, union skilled trades. Applicants for these grants must be prepared to provide the scholarship/grant board with a detailed curriculum for their chosen skills, as well as identifying those degree-granting and training facilities where such training will occur.